Finding yourself in a situation where you need money quickly and you don’t have it on hand can be scary. Although most of us have heard about the dangers of payday loans, desperate times may lead you to consider a payday loan anyway. But, before you sign on the dotted line and take out a payday loan, there are a few other alternatives to consider. 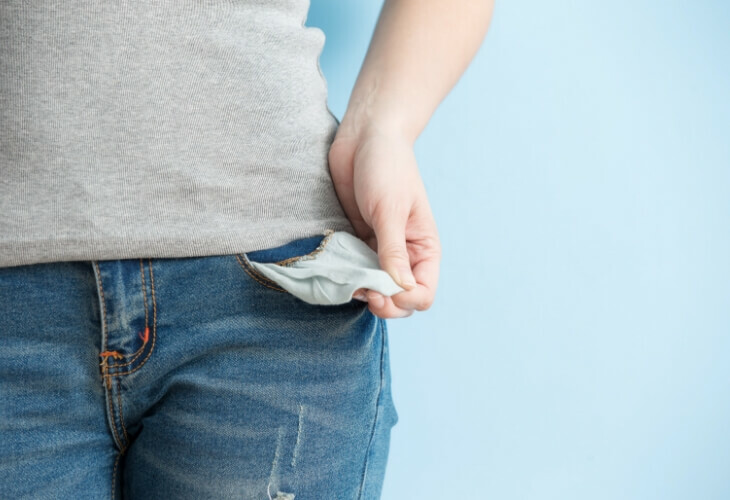 These alternatives may not be the most fun things to do in the moment, and it may seem like taking out a payday loan is easier, but in the long run, these alternatives will be much better for your finances! This is kind of a no-brainer, but if you have access to cash via your own savings account or emergency fund, you should obviously use this first before doing anything else. This is money you’ve already set aside for instances just like this. Although it’s not fun to see your emergency fund drained, this is the best starting point when you need money quickly. If you don’t have an emergency fund, or if your emergency fund isn’t large enough to provide you with all of the money you need for your situation, the next alternative to a payday loan is to sell some of your stuff. If you have high-value items, think, jewelry, electronics, etc., you should try to sell them quickly to get cash. Selling your stuff when you’re in a financial bind probably means you won’t get the full value out of your items. If you were selling them when you’re not in a hurry to get cash, you could shop around and get a better price, but since you’re in hurry, just sell them for as much as you can as quickly as you can. If the reason you need cash quickly is to pay a bill, call and ask for more time to pay. Many creditors and other companies will be willing to work with you on setting up a payment plan or giving you an extension, especially if you have a history of always paying on time and in full in the past. Don’t make late payments or partial payments without contacting your creditors first. This can result in a negative mark on your credit history and may cause them to deny your request for an extension whenever you do finally call to ask. Asking your family or friends for money can be awkward and should be considered carefully before you do it. You don’t want your request for money to harm their finances or your relationship with them. If you do borrow from family or friends, make sure to repay the money you owe (plus interest) as quickly as you can. First, a personal loan will likely have a much lower interest rate than a payday loan. Payday loans can have interest rates of almost 400% APR according to the Consumer Financial Protection Bureau. On the other hand, a personal loan, like the one from PenFed Credit Union, has rates as low as 6.49% APR with no origination fee or early payoff fee. No fees means you get to borrow more money at the same cost. Second, payday loans are also capped out at a low amount in many states, usually around $500. A payday loan usually has to be paid in full on your next payday in two to four weeks. If you don’t repay the loan, you’ll have to take out another loan to cover the first one. Thus, leading to a cycle of payday loans and high fees. Lastly, personal loans have much more flexibility. For example, a personal loan from PenFed can be for an amount between $500 and $25,000. You also have more flexibility on the term of your loan with terms between 36 and 60 months. More information can be found here. Credit card advances can be another expensive option to get money quickly. This is because many credit card companies charge a fee on taking out a cash advance, plus the interest rate may be higher for a cash advance than for regular purchases. That said, the interest rate on a credit card will mostly likely still be lower, and thus less costly to you, than taking out a payday loan. Borrowing from your 401(k) goes against most personal finance advice, however, if you’re truly in a bind, it may still be a better option than taking out a payday loan. You should consult with your tax advisor before engaging in any transaction. Keep in mind there are rules you have to follow to borrow from your 401(k) if you want to avoid tax penalties. But the interest you pay on your loan goes back into your own account. Still, by borrowing from your 401(k), you are lowering the power of your money to grow over time for your future self. Paying the loan back quickly will help you avoid too much potential loss on your investments. If you’re in a financial bind and considering a payday loan, make sure you’ve considered all of the alternatives first. Then once you get past your financial hiccup, you should start saving to grow your emergency fund to avoid having the same situation arise again in the future.